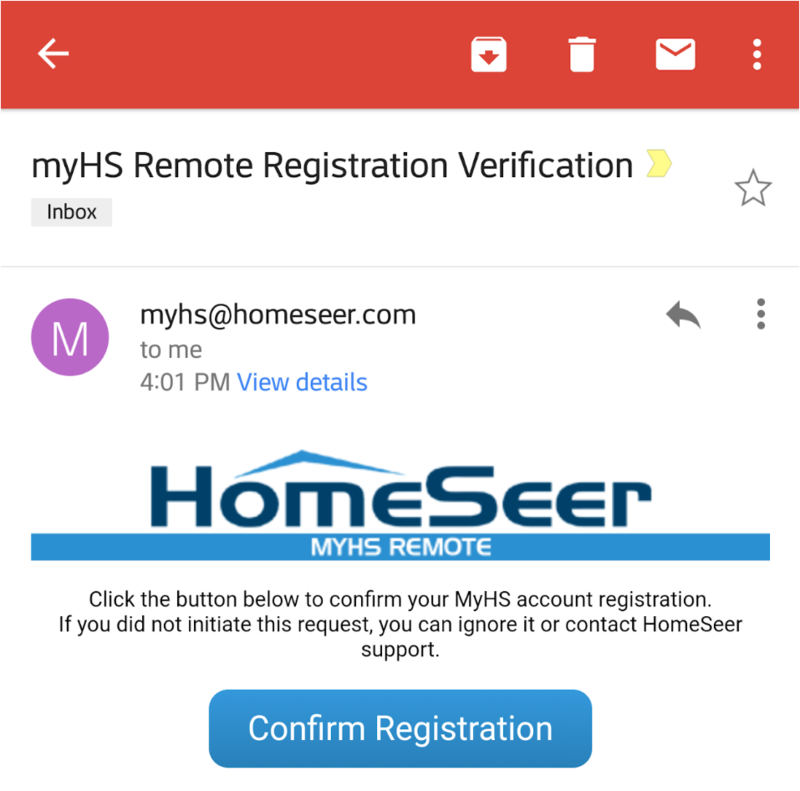 MyHS is a free cloud service that will allow you to access your HomeTroller from anywhere using a browser-enabled device, HomeSeer Mobile, or our HSTouch Designer app. Follow these instructions to set up MyHS. Enter your account information. Check the sticker on the bottom of your HomeTroller to get your license ID and password. Check your email and click the verification link. 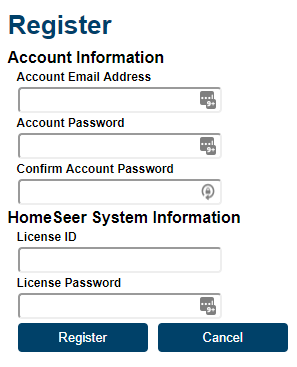 Your MyHS account has now been created and your HomeTroller can be accessed any time at https://myhs.homeseer.com/.